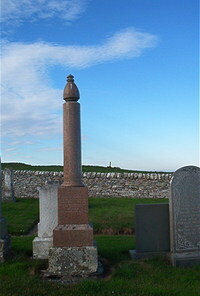 Erected by Elizabeth Sinclair in loving memory of her parents. Francis Sinclair died 4th March 1894 aged 84. Wife Christina Miller died 7th January 1888 aged 82. Son William Sinclair died 6th February 1900 aged 73.